​We need Y-O-U! If you are interested in joining a great team and meeting lots of great people, please let us know! 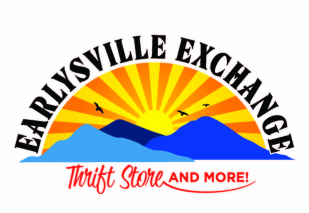 Volunteers are essential to the mission of the Earlysville Exchange. Volunteering is rewarding and you have the opportunity to meet many people in the community. There are several opportunities to volunteer. Description includes: Greeting & customer relations, folding & rehanging clothes, managing dressing rooms, and store upkeep. Description includes: Receiving donations & sorting, pricing/tagging, preparing merchandize to go to the stockroom/on the floor, and store upkeep.